Convert PST to EML in few clicks! 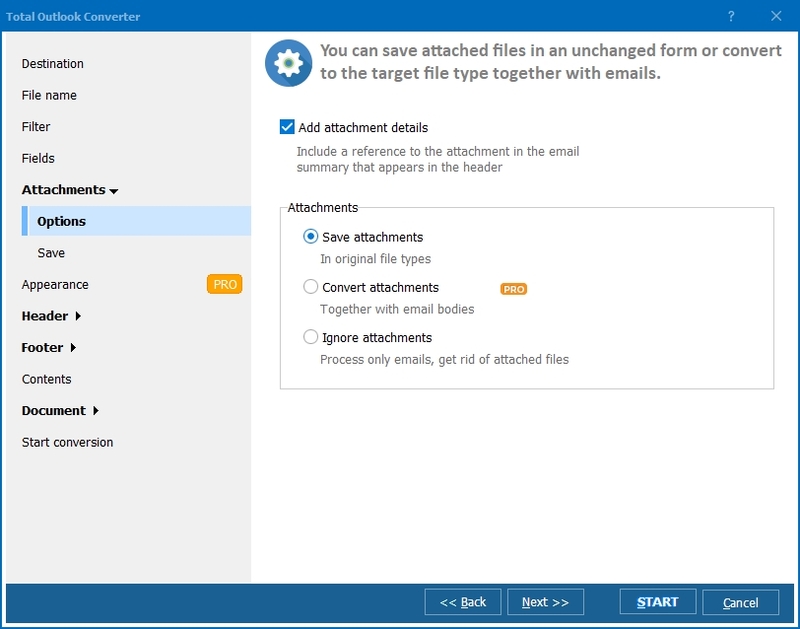 If you've ever tried to convert PST to EML in order to transfer emails to other clients, then you know this isn't possible from within Microsoft Outlook. 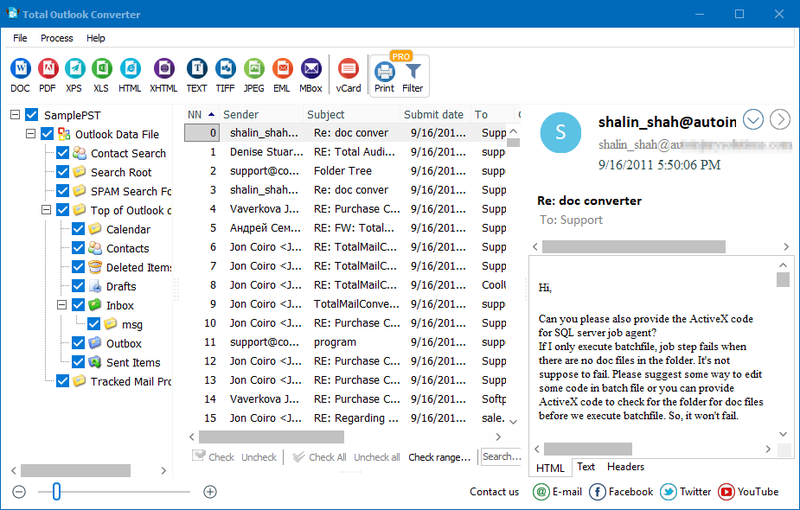 Due to the proprietary nature of Outlook's PST format, it becomes necessary to enlist the help of conversion software to accomplish such a task. Often when you find an app that you think will work, you realize later that data was lost during the conversion process. In response to this growing need, we've developed Total Outlook Converter. Able to save PST into EML, our converter lets you convert large PST files with 100% certainty that your data will be maintained and protected. When you convert PST into EML using our Outlook converter, you'll be accessing more than 14 years experience in conversion software design. Through rigorous testing and careful attention to user feedback, we've created a tool that is of benefit to the entire community. Whether you're an individual looking to organize your inbox, or a large corporation needing to migrate dozens of company accounts; we can help! With our PST to EML converter, jobs that would normally take hours - even days, can be completed in minutes. No more painstakingly having to split one email at a time out of a large PST. Now all you need to do is launch Total Outlook Converter, select the files you want to convert, and choose EML as the target format. 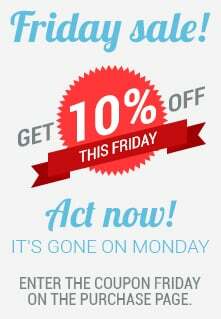 Our converter does the rest saving you both time and money. Whatever your project requirements; email conversions, large-scale migrations, email forensics, or e-discovery work... we've got you covered! Wait though, there's more. While there are a couple apps out there that help you to do some of what Total Outlook Converter is capable of, none of them offer the flexibility and variety that we do. 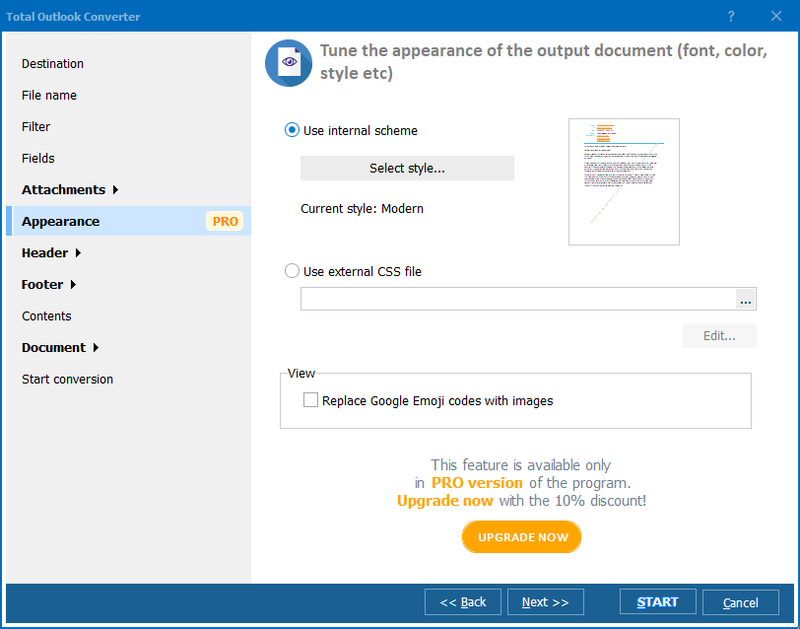 You see, our app doesn't just convert to EML; it's also able to turn PST files into PDF, TXT, XPS, XHTML, JPEG and more. Here at CoolUtils we pride ourselves in being the industry's leading source of conversion software. See what we mean by downloading the trial copy today for free! If after 30 days you decide to upgrade, for a one-time fee of $49.90 you'll receive your license. You will also gain access to our professional tech support team, and all updates during the first year are free. To learn more about Total Outlook Converter, check us out on Facebook, Twitter, and YouTube.